Okay, call me a 1st Class “Doctor Who Fan”, because that is exactly what I am when comes to the Inter-Dimensional Time Traveller from Gallafrey – Doctor Who – or should I say Va…Oops! Well, let’s not go there just yet, eh! When David Tenant stepped aside for Matt Smith in 2010, the whole world watched with anticipated breath as to who it was to take the helm of the TARDIS, and guide the 11th Doctor through time and space…Not forgetting, of course, that Time Lords (Any and All) can only ‘Regenerate’ 12 times, and so, with this in mind, we look next for the 12th and very final Doctor – the last Time Lord, if you like – who will bring vast entertainment to the millions of British-American viewers far and wide. 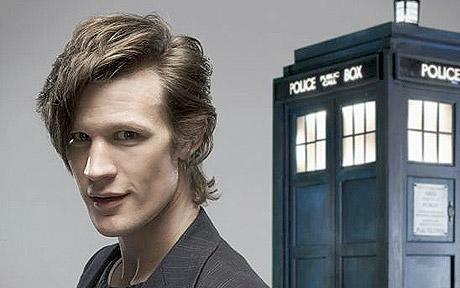 In a ‘Shock’ statement by Matt Smith to the “Doctor Who” Bosses, he revealed he wanted to “bow out” of the show. Bosses have already acknowledged that Matt, 30, will leave the phenomenally successful Saturday evening show this Christmas Day…Regenerating for the 12th and final time as a Time Lord. Matt has spent four years as the enemy-illusive warrior to the many enemies wanting to rid the Universe of the rogue Time Traveller, including the Daleks, Cybermen, The Slaveen, and even The Master. The story as to how and why he came to be the protector of “Earth Children” has remained a mystery, while the one last and final question that hangs over the entirety of the Doctor Who franchise is…Doctor Who? What is the Doctors’ name? And, who is the last child of Gallafrey, really? Production Crew within the world-wide popular show have confirmed that the Christmas Special “Will be” the last time we will see Matt as the euphoric and humorously witty Doctor, and added that his four year run as one of the most sought after character’s in Britain, has been “Triumphant”. With a clear focus now on Hollywood, Matt is reported to have finished filming a new film with “50 Shades Of Grey” contender, Ryan Gosling, in “To Catch A Monster”, that is due for release in 2014. It will be Matt’s second film which began with his starring in the controversial “Womb” (2010), playing a clone of a woman’s lover killed in an accident and raised to replace him. Inside the BBC, Bosses of the show have said that they are almost sure that they know who they want to replace Matt, but as yet the lips of everyone to do with the series are remaining ‘Tight lipped’, and they are not saying anything until the time is right. That time being right will be later in the year when filming starts on the ‘Christmas Special’, when a press conference will be held. Matt’s contract runs out in November 2013, and it has been revealed the star will not be renewing it. Matt was little known when he signed up for the role in 2009, bagging a £200,000-a-year deal. It’s thought he now earns £1million a year — the same as previous Time Lord David Tennant when he left. Posted in Coming Soon, TV Review and tagged Amelia Pond, Amy Pond, aviation, Child Of Gallefrey, David Tenant, entertainment, gaming, Home Of Gallafrey, Matt Smith, Matt's Last Days, oscars, Regeneration Doctor Who, River Song, Sarah Jane Smith, T.A.R.D.I.S, The 12th Doctor, The TARDIS, The Time Lord, The Time Vortex, transportation, videogames. Bookmark the permalink.